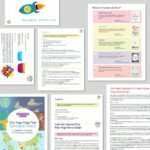 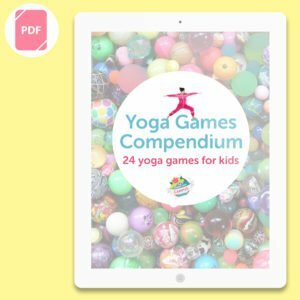 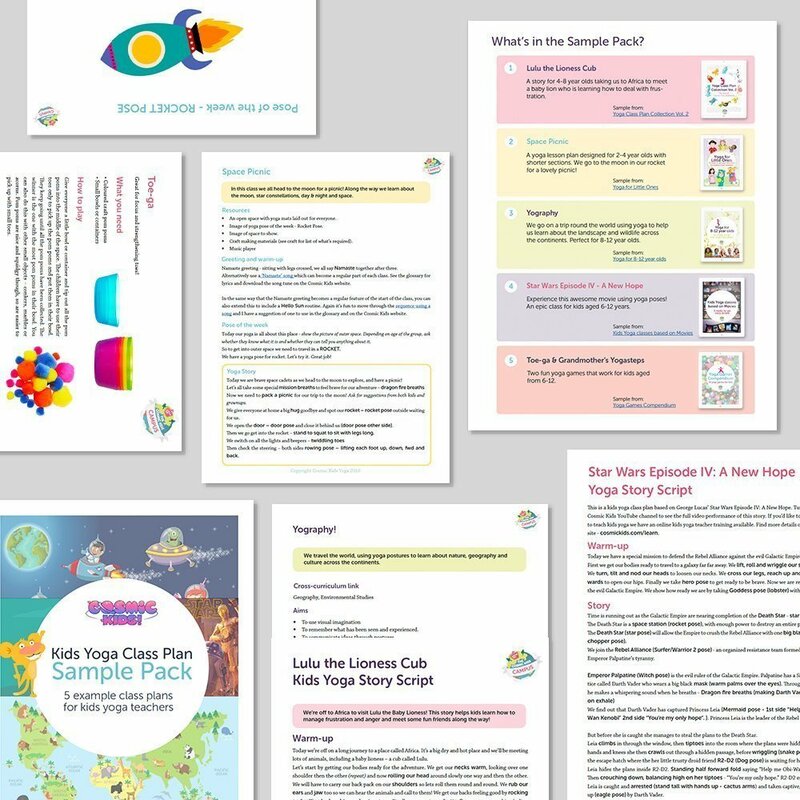 A free 25 page PDF sample pack of four kids yoga class plans and two games – to suit a variety of ages – to show you what you get when you buy Jaime’s classplans. 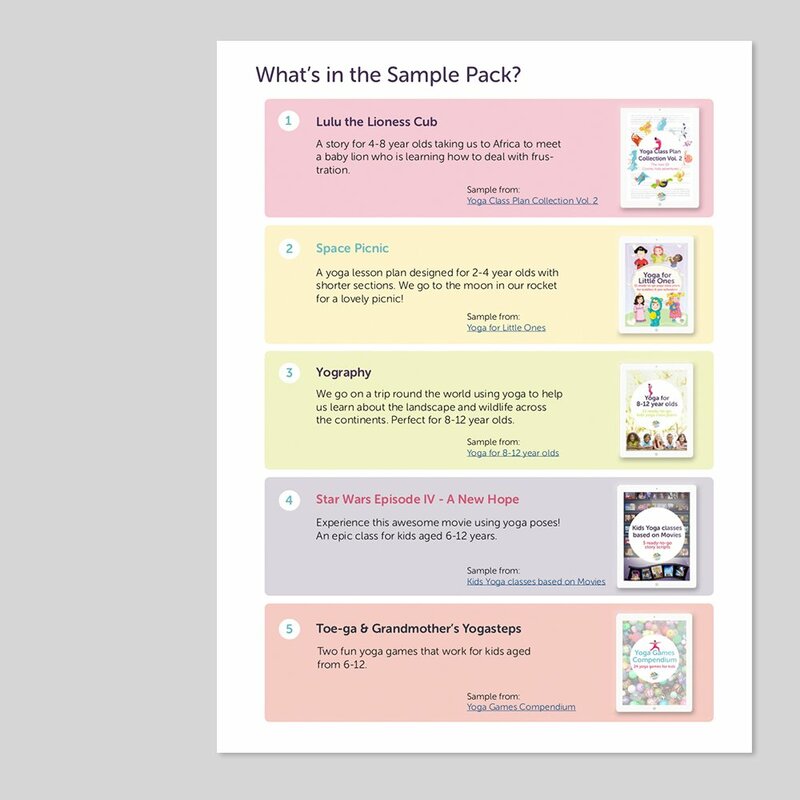 Enjoy using these plans and if you want more – please find the full bundles in the shop! 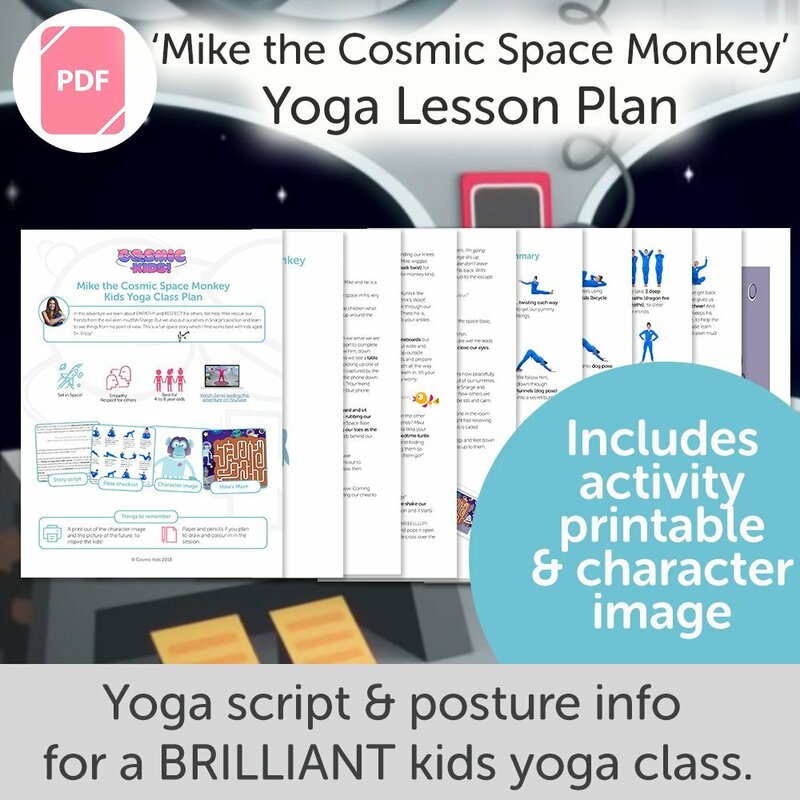 Cosmic Kids makes a wide range of classplans and games for kids yoga teachers. 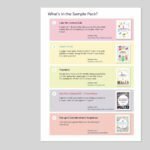 The purpose of this PDF is to show you what they are like – and to give you a taster of using them before committing to one of our bundles. 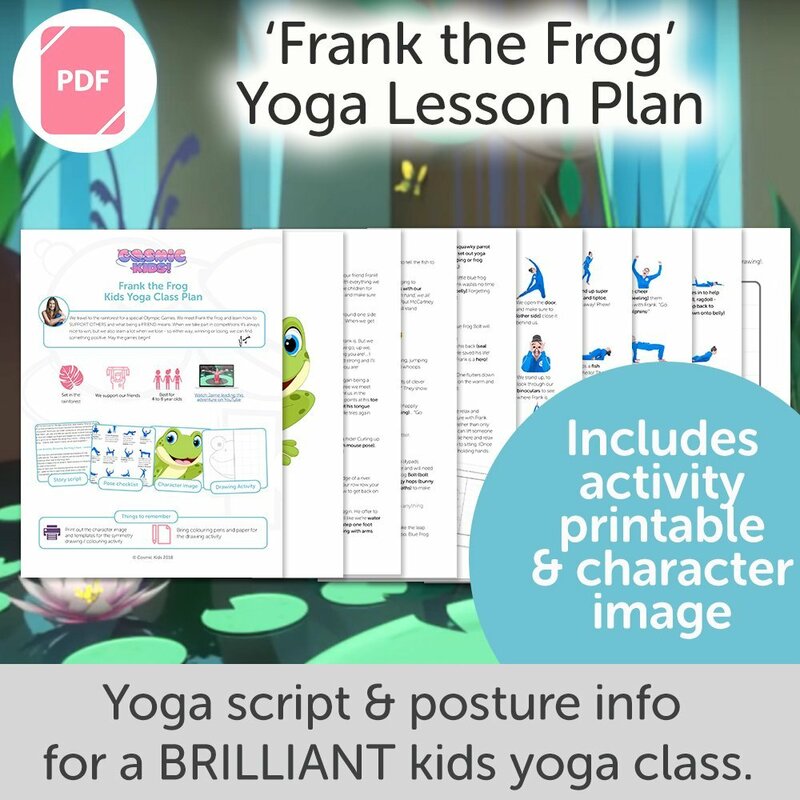 These classplans are designed for kids yoga teachers, who have trained in kids yoga instruction and have a good knowledge of the postures. 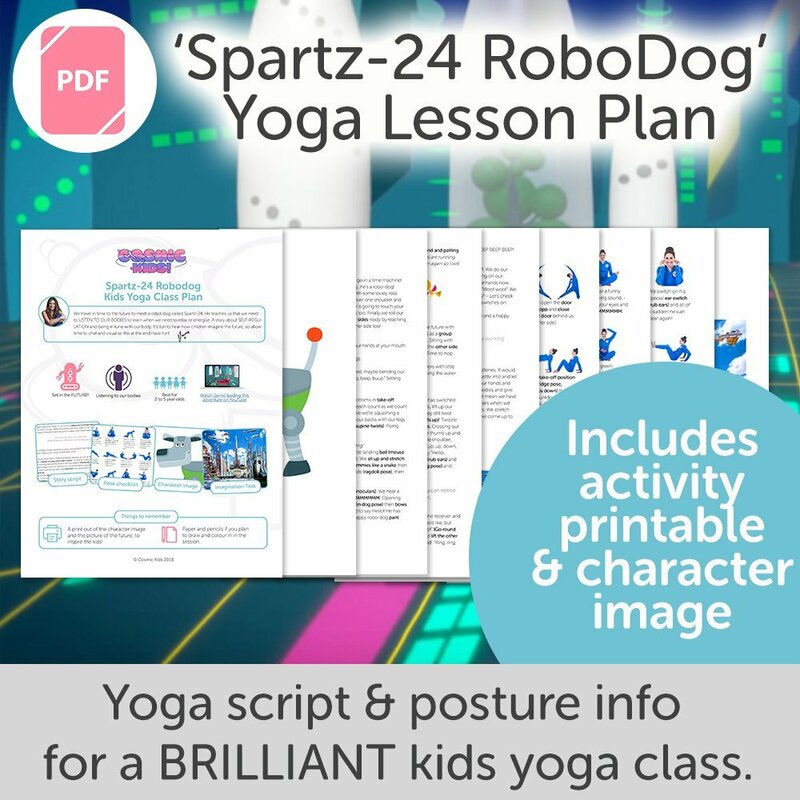 Our classplans are essentially scripts with the poses highlighted in bold plus activities and games for the kids to do. 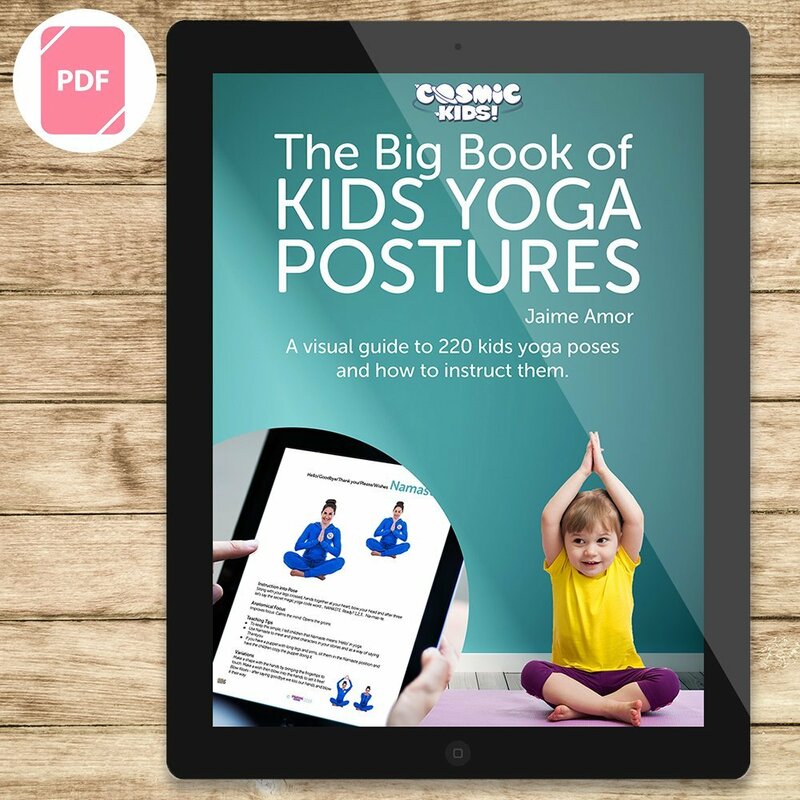 If you don’t recognise the poses or know how to instruct them, we recommend The Big Book of Kids Yoga Postures which shares 200 poses in detail. 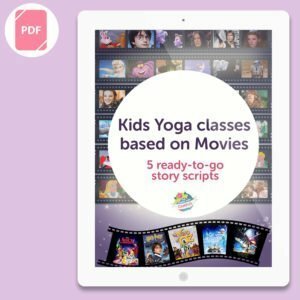 Have fun with these classplans!